To create an international monument to honor those who have died due to complication arising from child birth, and also honor those who have worked valiantly to create a safer world for women. 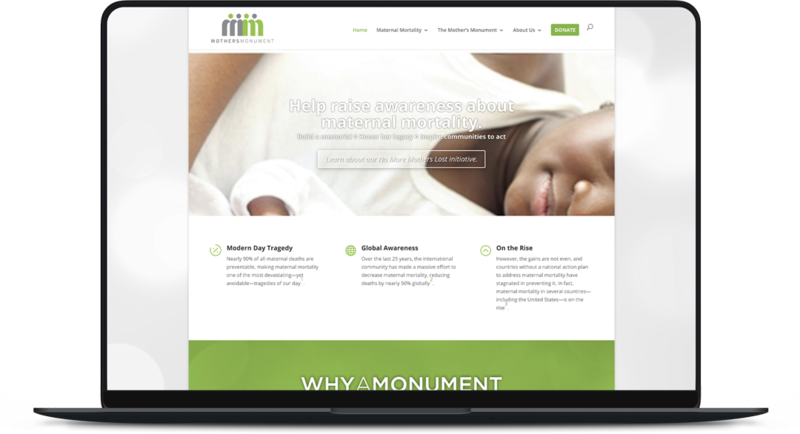 Redesigned website for non-profit Mother’s Monument, whose focus is on educating about mother mortality around the world. Create a website for a non-profit that was clean and modern and could easily show their mission and purpose in addition to their many stories of bravery from mother’s all around the world. Mazziotti Design is very talented and easy to work with. His ideas are current and his design are very professional. We get great results for our company from their contributions. We highly recommend them.